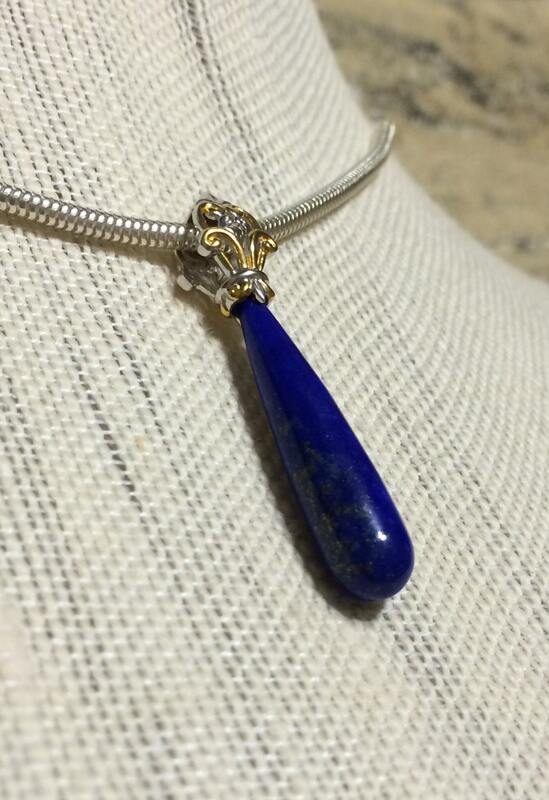 Sterling Palladium 18k Gold Lapis Drop Pendant. 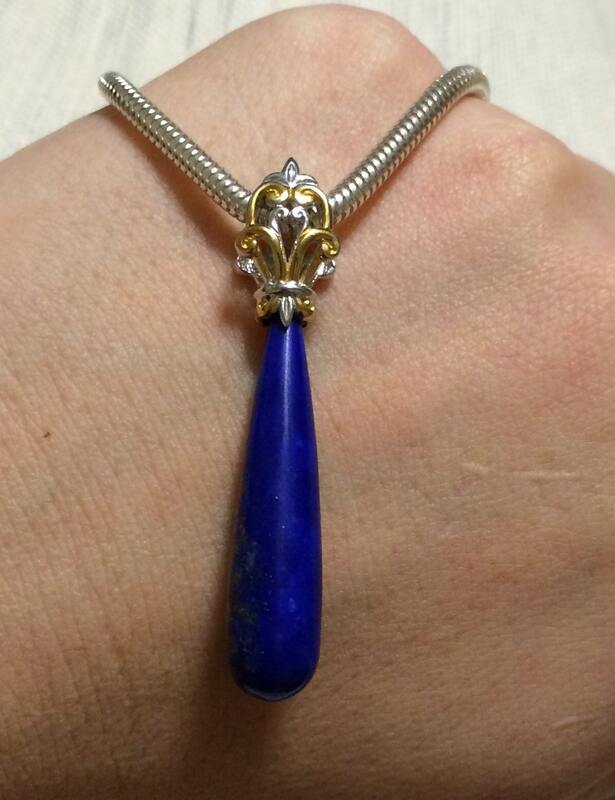 NK Gem & Jewelry Designs. 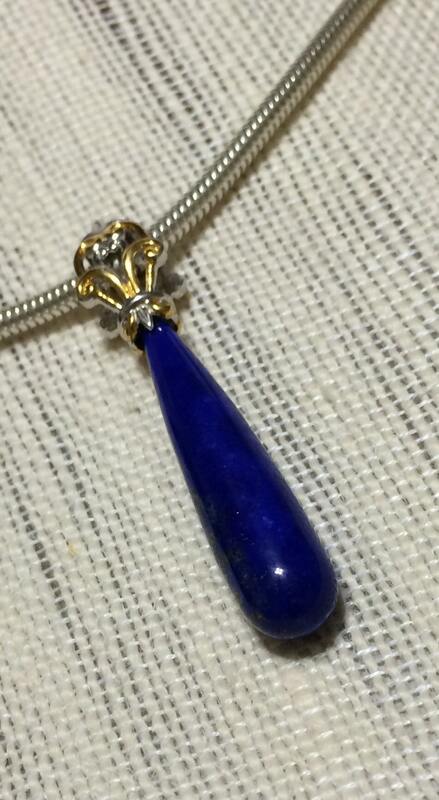 35 x 8mm Lapis Drop Pendant . 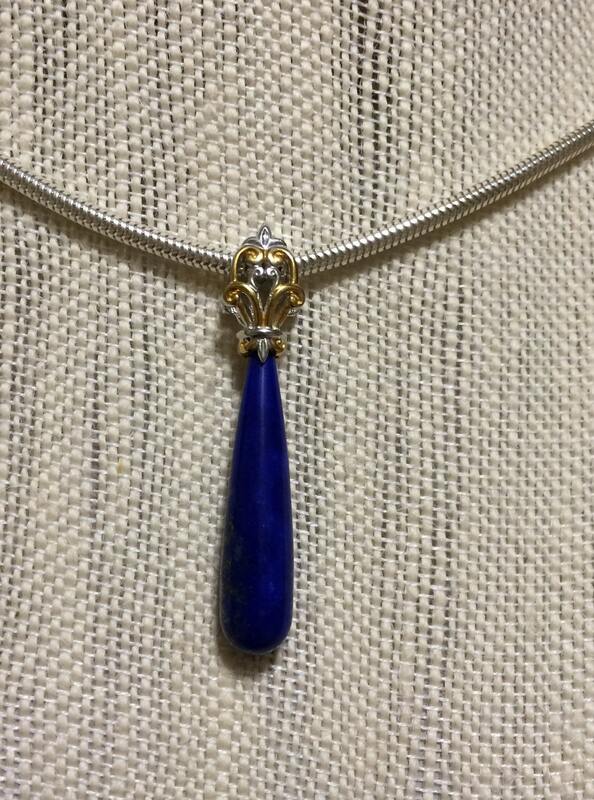 Pendant Only, necklace not included for display only. US SHIPPING For Orders $50 and up IS ALWAYS FREE using a coupon code SHIPFREE50 ( insured priority mail) . INTERNATIONAL SHIPPING -only selected international locations with a set charge of $35 for Priority Shipping with ADDITIONAL ITEMS SHIPPING FREE . International Buyers – Please Note: Import duties, taxes, and charges are not included in the item price or shipping cost. These charges are the buyer's responsibility. Please check with your country's customs office to determine what these additional costs will be prior to buying. Deliveries to destinations outside the United Stated may take up to 21 business days to arrive at your local customs office. Tracking numbers are always provided for your orders, international customers USPS.com sometimes doesn't update tracking info for a week or longer after the item is dropped off. This is completely out of our control , sorry. For packages returned because of incorrect address we will reship after another payment to reship. Note to INTERNATIONAL BUYERS: it is the international buyer's responsibility to pay ANY and ALL customs fees and taxes. If you do not take care of customs / taxes /duties fees ( per your country rules) and your order is returned to us, there will be a restocking fee of 10%. International shipping charges are non refundable. If you need an item from our store to be shipped international to the location not listed please convo me to get a quote on shipping charges. Orders ship the same day once the payment is cleared. Most sellers on Etsy are unable to predict which of these fees, if any, will be applied, and Etsy does not expect sellers to calculate or collect these fees or taxes. Some payments take 24-48 hours to clear . All orders are shipped Priority mail with tracking. Is any of your pictures color corrected or use special lighting ? Can I get a refund ? All international shipping charges include priority shipping and insurance. International buyers are responsible for any additional charges set by your countries customs . If your order is returned to us an additional charge will charged again to ship it back to you. There will be a restocking fee of 10% if the order is returned to us. International Buyers – Please Note: Import duties, taxes, and charges are not included in the item price or shipping cost. These charges are the buyer's responsibility. Please check with your country's customs office to determine what these additional costs will be prior to buying. Size of gems stones? How can I tell how big or small they are? Who pays for customs fees/ taxes? USPS makes the recipient responsible for customs duties and taxes and fees. Please see our shipping policy. International Customers: Your order may be subject to import duties, custom tariffs or VAT charges. They vary greatly from country to country and we strongly suggest checking your country's customs policy. These charges are always the responsibility of the recipient/buyer . Floating beauty! 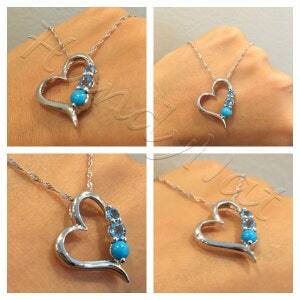 Sterling Silver Sleeping Beauty Turquoise & Swiss Blue Topaz Pendant with a Chain. 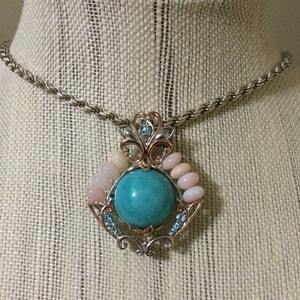 20mm Peruvian Amazonite ,Blue Zircon & Pink Opal Silver Palladium 18k Rose Gold Enhancer Pendant. 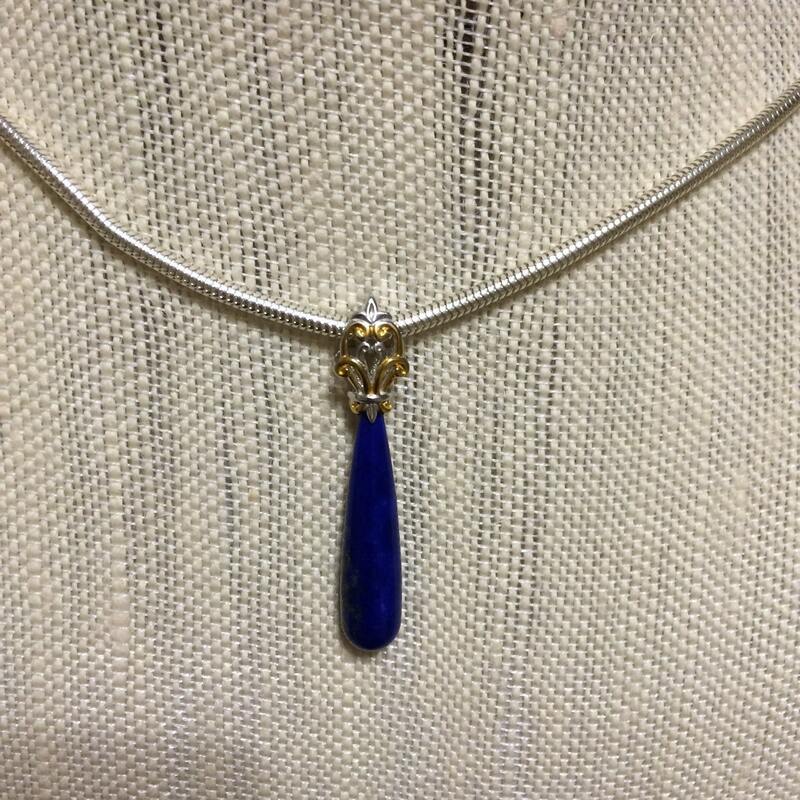 Beautiful in blue! 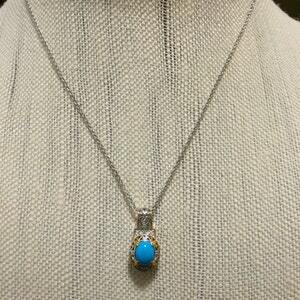 Oval Sleeping Beauty Turquoise & White Zircon Two Tone Sterling Silver Palladium Pendant.